Horus Hippo is a cartoon character from 1928. Created by Marinus Hollanders from Cartoon Factory Hollandia. His grandson Stefan de Groot carries on the legacy of Horus Hippo. 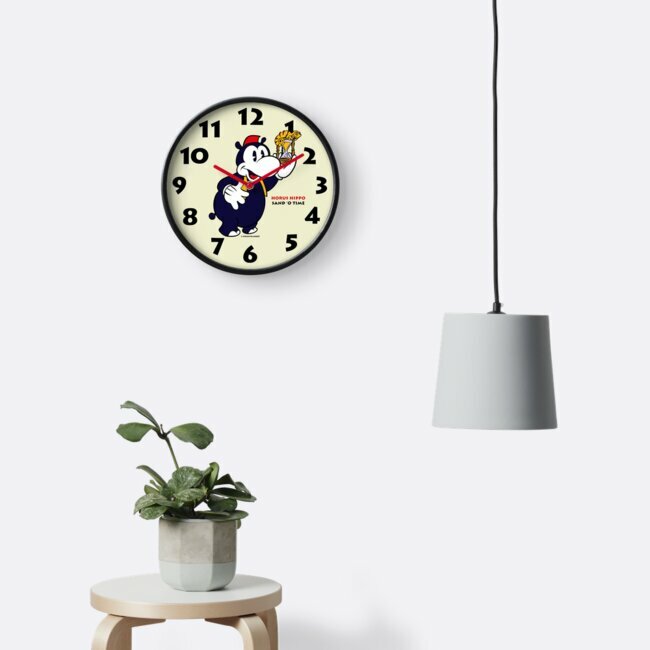 This is a clock design with Horus Hippo holding with a sandglass with a chameleon on top. The times will change and pass.